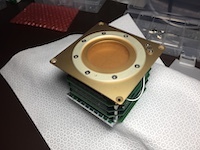 Advanced Ionospheric Probe (AIP) 先進電離層探測儀: An all-in-one (operated as PLP, RPA, or IDM/IT) in-situ thermal plasma sensor was installed on SR-IX for flight test and will be launched on FORMOSAT-5 satellite in 8/25/2017 CST. The AIP has reached TRL-9. Compact Ionosphere Probe (CIP) 小型電離層探測儀: It can be compatible with CubeSat standard in 1U dimension. 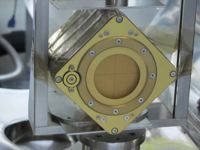 The model is developed to install on future CubeSat missions like INSPIRESat-1 and IDEASSat as well as a flight test on a multi-functional hybrid sounding rocket.